Buddy is the pride of Lazy Sousa Ranch. He has an uncanny homing instinct when on pack trips and can be tied on the highline with the rest of the stock. Buddy was Jan's go to mount - if she needed a job done he was the one to do it. 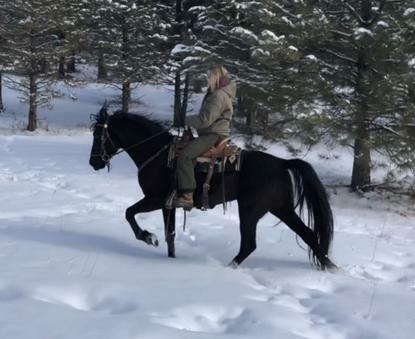 He has a quiet disposition and was shown for 10 years with people not realizing he was a stud -see him on the Champions page. He has passed his wonderfully quiet, willing disposition and a big loose walking, head-shaking way of moving to his foals. Due to an injury he is no longer ridden, other than a short outing now and then to let him explore. He now runs with his mares and foals, standing guard against predators. 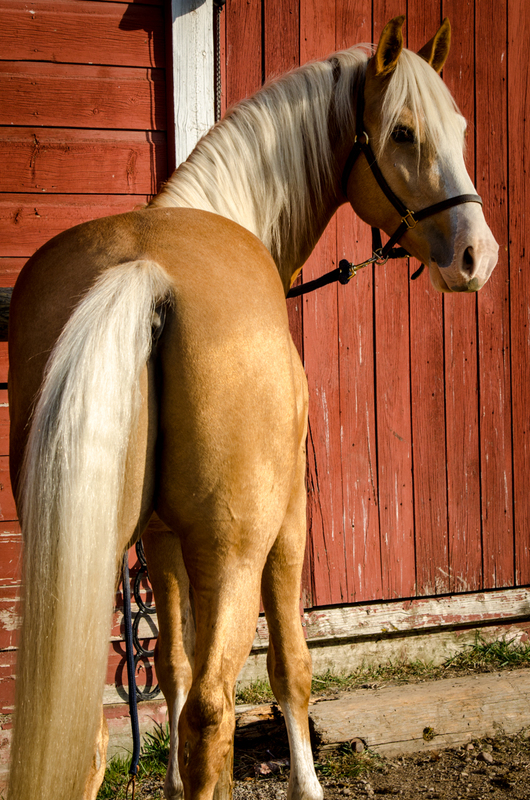 Lux, is a beautiful, dark palomino, minimal white overo. He has a HUGE back end and smart, willing disposition. He is sired by Black Hills Dream Weaver, a versatility bred stallion and out of Luxury at the Ritz, a mare by the many time WGC He's Puttin On The Ritz. His dam is also out of a direct daughter of Prides Favorite and her 2nd dam is by Prides Gold Coin. 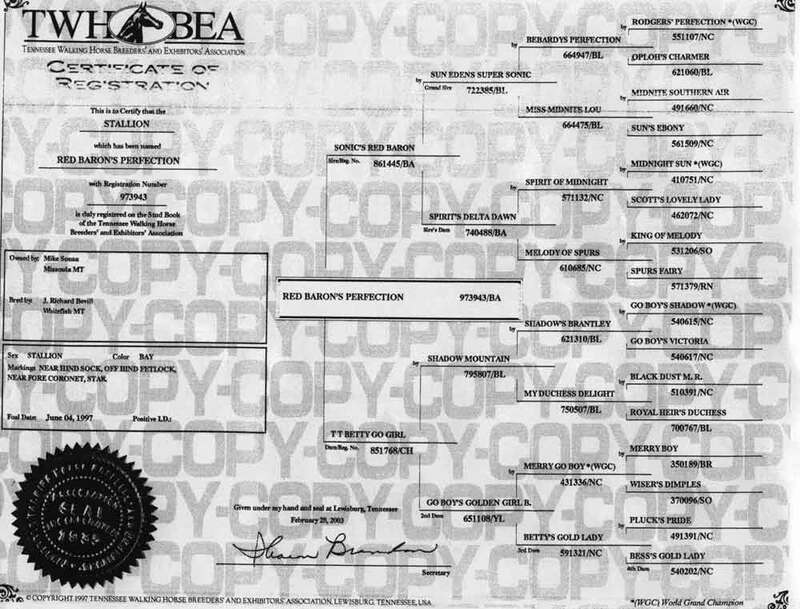 His paternal grand sire is the Supreme Versatility Champion He's Black Hills Gold, who successfully competed in reining against Quarter Horses. 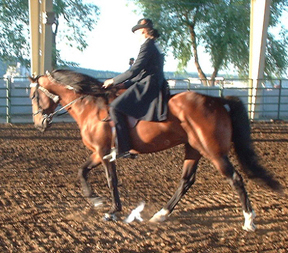 Lux is just outstanding under saddle and is proving to be competitive in the show ring. 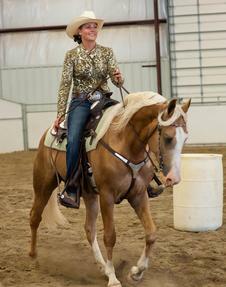 He is virtually undefeated under saddle at every show he has been in. See the short video clip at right. He is also enjoying being my new team penning mount, competing every month during the winter months. Look out for him in the versatility classes at the shows! If you want color, talent, disposition and a pedigree on your foals come and check this guy out. 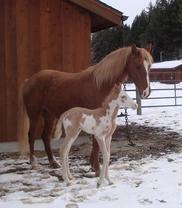 He is producing flashy solid and even a spotted foals! Briggs is out of Baron's Bleu Gold, once in a life time horse, full sister to stallion Buddy. His sire is Sky's Saphyre Starlyte, a stout and stunning big stallion with a great mind and gait. 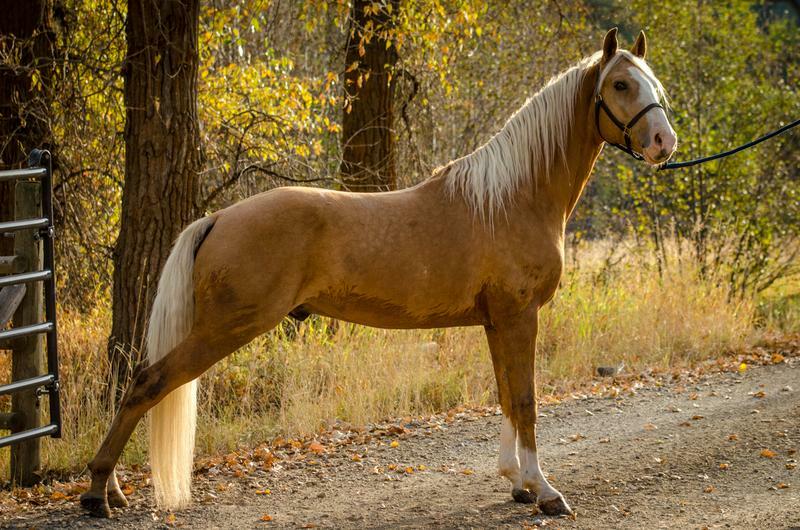 Briggs has a pedigree mixed with good old time horses such as Merry Go Boy, Midnight Sun, Rodgers Perfection, and the famous Prides Generator, Jose' Jose', Gen's Major General, and The Puher GC to name a few. Briggs has a mature mind and quiet disposition. 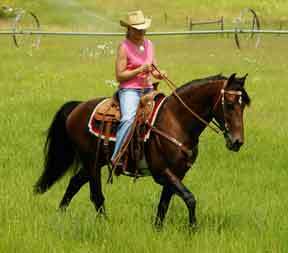 He is fantastic under saddle and has a natural head shaking running walk, with nice front end and perfect canter. Briggs has a thick build, with a big chest, hind end, and huge feet. He should mature between 15.3 and 16hh. His sire is the stout and stunning Sky's Saphyre Starlyte. 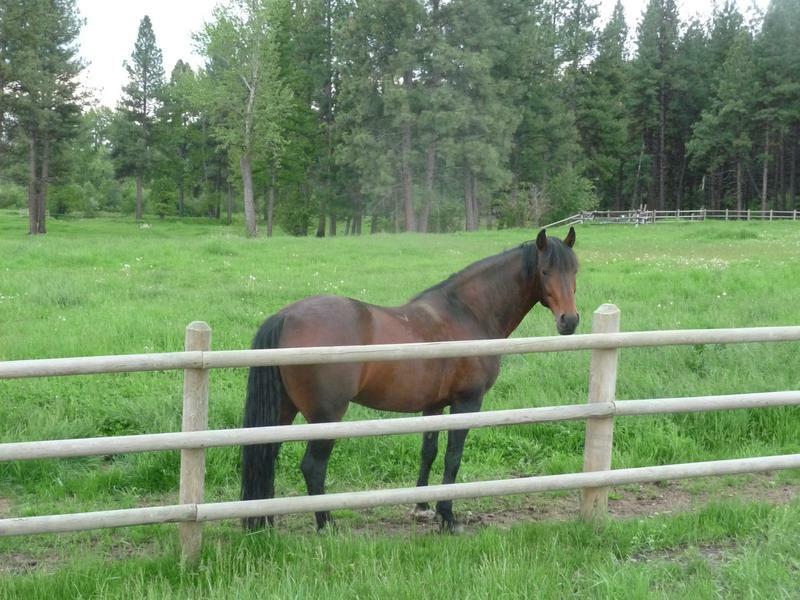 This young stallion will produce horses build for the mountains and ranch work. We are so excited to see him mature and his first foals to hit the ground in 2018!